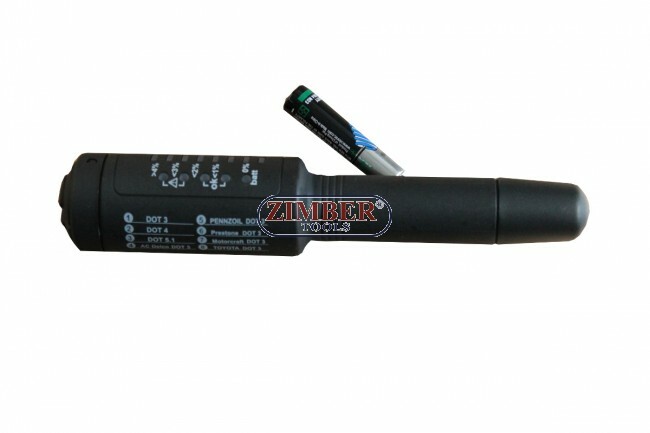 Професионален тестер за спирачна течност DOT 3, DOT 4, DOT 5.1, ZR-36FTB04 - ZIMBER TOOLS. Brake Fluid Tester , you can easily, quickly and precisely check the water content of all 8 types of polyglycol-based brake fluids DOT 3, DOT 4, DOT 5.1, ACDelco DOT 3, Pennzoil, Prestone, Motorcraft and Toyota DOT 3. 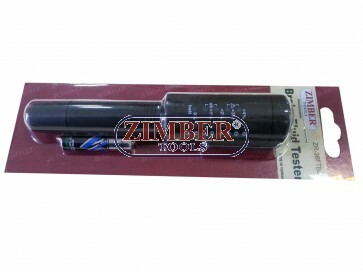 Handy Brake Fluid Tester with Pocket Retaining Clip. Simple Push Button to Change Fluid Types. Quick, Precise Test Results Can Be Shown to Customer. Built-In LED Light to Ensure Tips Are in Proper Contact with Fluid. Operates On (1) AAA Battery. 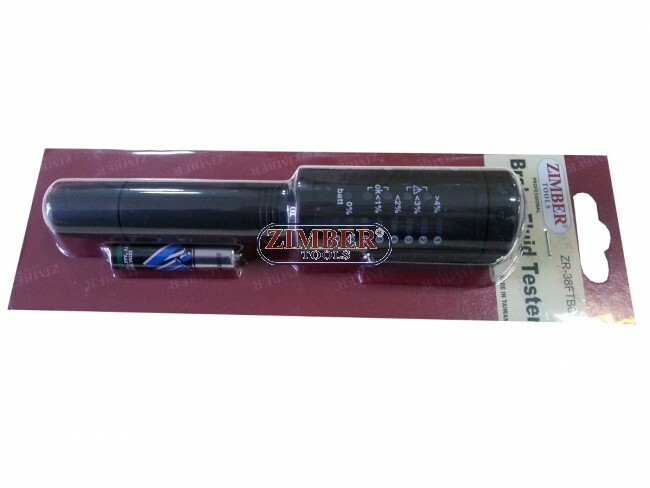 Професионален тестер за спирачна течност (38FTB020) - ZIMBER-TOOLS.